A new Korilakkuma design series by the name of “Korilakkuma Cat” has made an appearance, and you can experience it first hand at the Omotesando Box Cafe & Space starting on December 7th. 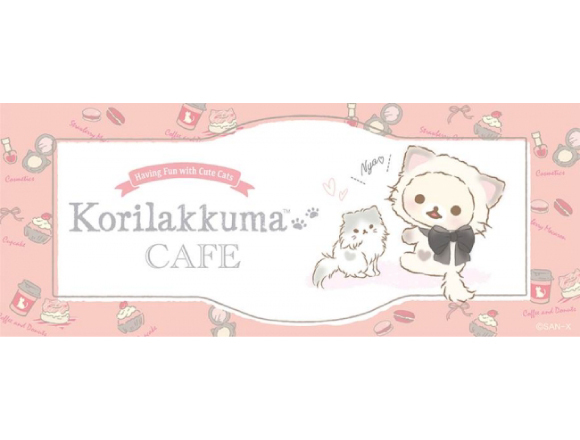 Korilakkuma will be there to greet you with all of her small and cute cat companions including a kitty with a long fluffy coat and heart shape on its body, a light pink coated kitty, one with its trademark blue eyes, and others. The café will have lots of Instagram worthy snaps, from the food to the decor. You must reserve beforehand to get a spot in the café. By ordering you will receive 1 limited edition microfiber cloth selected randomly from 3 designs and 1 luncheon mat selected from 4 types. If you buy a drink you will also receive 1 cute photo sheet selected from 2 varieties which you can take your photos on. The cute and exciting food items on the menu feature Korilakkuma Cat popping out of them including omurice gratin, gapao and more! Of course, the desserts have a kawaii Korilakkuma on them too♡ There’s the doughnut which you can customize with toppings to your liking, an adorable looking parfait and more – you will be spoiled for choice! The menu will also include limited edition Christmas items from December 20th-25th. For people who don’t have time to spend relaxing in the café there is also takeout service – which would be perfect as a gift too. The Korilakkuma shaped steamed bun is filled with ‘anko’ or red bean paste. There’s lots of limited edition café-only merchandise too, so don’t miss out! 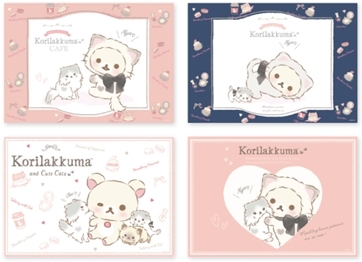 Korilakkuma has been interested in fluffy, long-coated cats recently. While playing with them she has become best friends with them. 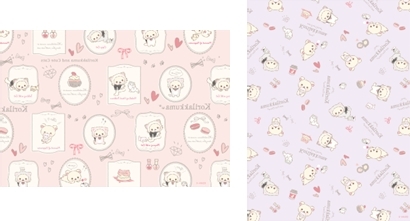 Korilakkuma Cat is a new designseries taking on the popular cat trend.